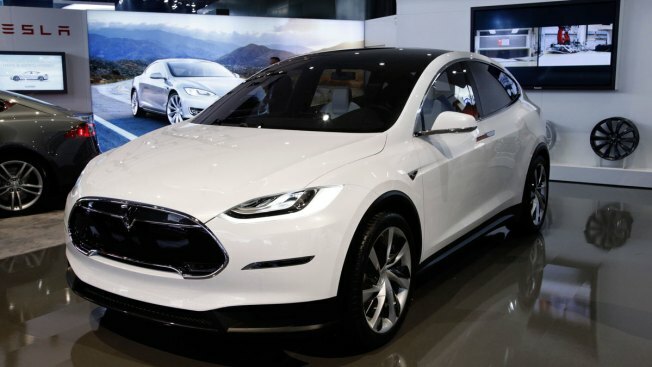 File image of the Tesla Model X SUV during the North American International Auto Show in Detroit. Tesla Motors' shares have come under pressure after Consumer Reports questioned the quality of its new Model X SUV. Consumer Reports says owners have reported that the Model X's gull-wing rear doors don't work. Others have complained about paint quality, malfunctioning seats and issues with climate controls. Last week, Tesla recalled 2,700 Model X SUVs because the rear seats can fall forward in a crash. Tesla's shares fell 3 percent on Tuesday. The Model X went on sale last fall. Tesla says it had some issues with early Model Xs, but it is working to solve them quickly. Tesla's quality has been improving. The company based in Palo Alto, California, recently reported that it spent less on repairs for Model S cars produced in 2015 than in prior years.